Up until 1988, our understanding of the global geodynamic carbon cycle suggested that it had been operating in a remarkably similar way to the present for much of Earth's history, certainly back to 3.5 billion years ago. Anthony Fallick changed this. Based on research on Scottish rocks approximately 2.2 billion years old, Professor Fallick proposed in 1989 that this uniformitarianism had been disturbed in a major way at least once in our planet's past, during the change from a reduced to an oxidised (i.e. stable free oxygen) atmosphere and hydrosphere at around 2.2 billion years ago. "The Paleoproterozoic Lomagundi-Jatuli positive 13C excursion in sedimentary carbonates represents an event whose magnitude and duration is unique in Earth history"
Confirmatory evidence has since been presented worldwide and subsequent events, characterised by excursions of the stable carbon isotope ratio of carbonate rocks, identified in the geological record. However, the event at 2.2 billion years ago, subsequently named the Lomagundi-Jatulian Excursion, remains the biggest and longest lasting disturbance to the geodynamic carbon cycle yet known. Because of its importance, an international consortium of scientists has raised a multi-million dollar budget in research grants and in 2007 (via the International Continental Drilling Program) recovered over 3.6 km of drill-core at a series of locations in FennoScandian Russia to deliver an archive of fresh rocks through this crucial period. This will allow us to unravel the unique sequence of events that had such an unprecedented effect on the way the Earth System operates. 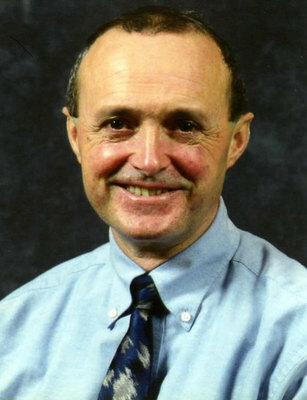 Anthony Edward Fallick is a graduate of the University and Professor of Isotope Geosciences. Fallick graduated BSc Honours in Natural Philosophy in 1971 and was awarded a PhD in Nuclear Geochemistry in 1975. He held postdoctoral positions in geology and geography at McMaster University, Ontario and in mineralogy and petrology at Cambridge University. In 1980 he moved to the Scottish Universities Research and Reactor Centre to work with the Isotope Geology Unit on mainly geological materials. He became Lecturer in 1985, Reader in 1990 and was appointed to a personal professorship in 1996. He became Director of the Scottish Universities Environmental Research Centre in 1998. Baker, A. J. and A. E. Fallick. 1989. Evidence from Lewisian limestones for isotopically heavy carbon in two-thous'Evidence from Lewisian limestones for isotopically heavy carbon in two-thousand-million-year-old seawater. 337:352-34. World Changing Project, "Helping us to understand the Geodynamic Carbon Cycle on Earth," in University of Glasgow World Changing (University of Glasgow, 2010); http://www.worldchanging.glasgow.ac.uk/article/?id=47 (accessed April 26, 2019). World Changing Project. "Helping us to understand the Geodynamic Carbon Cycle on Earth." In University of Glasgow World Changing. University of Glasgow, 2010. http://www.worldchanging.glasgow.ac.uk/article/?id=47 (accessed April 26, 2019). World Changing Project. "Helping us to understand the Geodynamic Carbon Cycle on Earth." University of Glasgow World Changing. University of Glasgow, 2010. 26 April 2019 <http://www.worldchanging.glasgow.ac.uk/article/?id=47>.